Do you love to play with your growing infant and looking for various activities that will help to encourage the development of your little one? 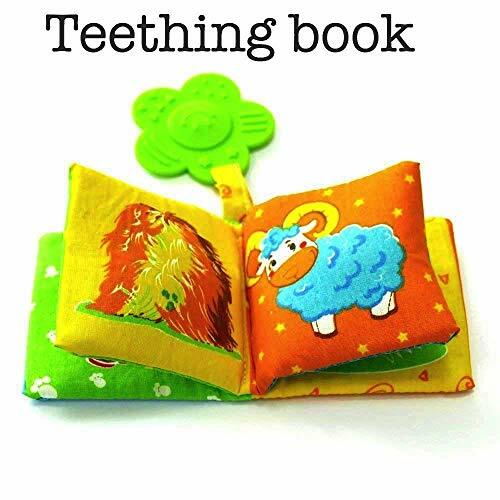 Maybe you are searching for soft interactive books and Teething toys? 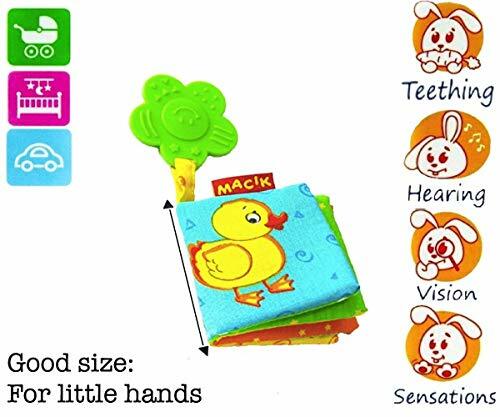 We are proud to introduce you the MACIK soft baby books – its Baby activity book and Teething toys. 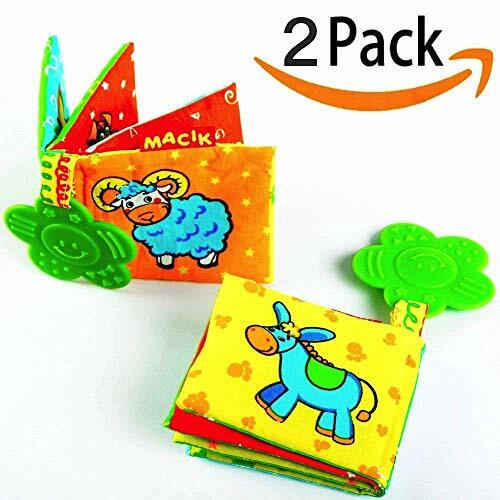 FIRST BABY BOOK — multi-textured and brightly colored fabric of books for infants is natural, has high absorbing properties and safe for being chewed on; the variety of vibrant colors will impress your baby. Also, the size of the book is ideal for newborn small hand, thus it will be convenient for a baby to play with this book. INFANT DEVELOPMENTAL TOYS — the first and last pages rustle in a funny way, the second page rings cheerfully, the third peeps loudly. TEETHING TOYS — the developers have added the easy-to-use “Teether for Teeth” which will help a baby when it has its first TEETHING! It is at the top of the book. This teether is absolutely safe for a baby. 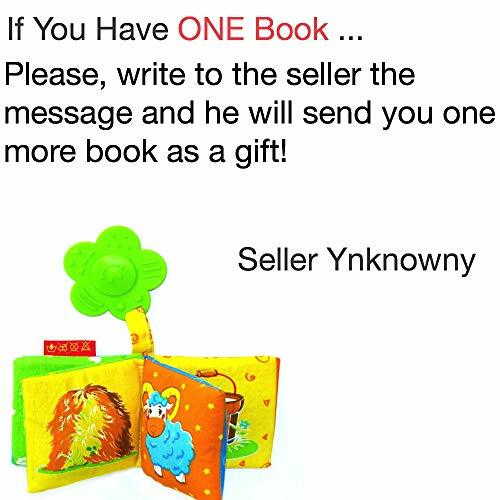 SAFE FOR BABY — the quality of this book is extremely important. 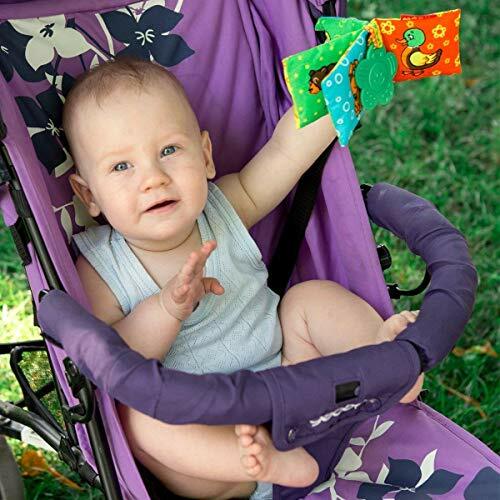 Our book is absolutely safe for your baby: non-toxic, tightly stitched. 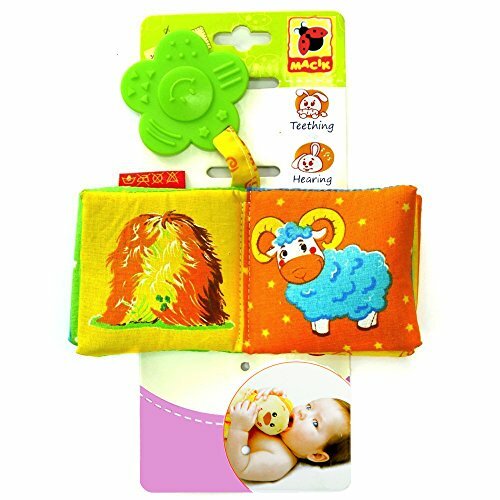 LONG-LASTING TOYS — If the book is dirty, it can be washed by hand and it will be as new).FIRST BABY BOOK — multi-textured and brightly colored fabric of books for infants is natural, has high absorbing properties and safe for being chewed on; the variety of vibrant colors will impress your baby. Also, the size of the book is ideal for newborn small hand, thus it will be convenient for a baby to play with this book. 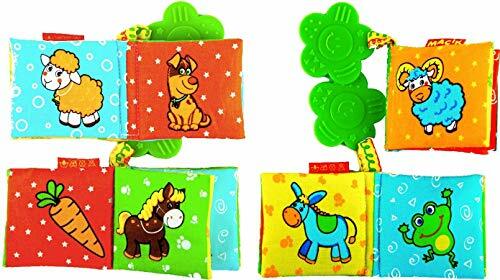 LONG-LASTING TOYS — If the book is dirty, it can be washed by hand and it will be as new).